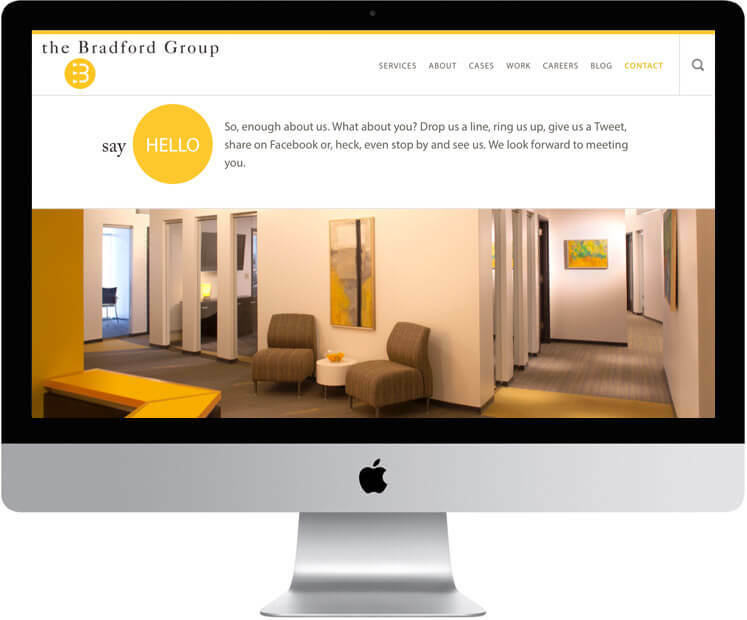 The Bradford Group is a PR/marketing firm located in Nashville, Tennessee. 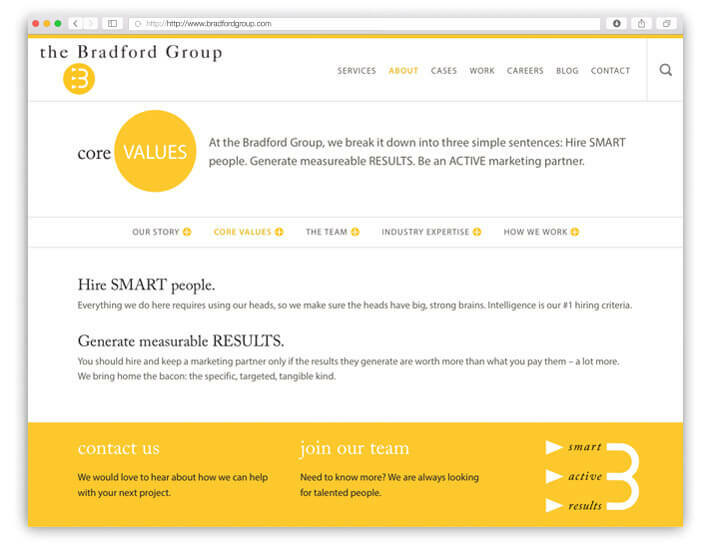 The founders, Jeff Bradford (CEO) and Gina Gallup (COO), were awesome to work with on the redesign of their website. 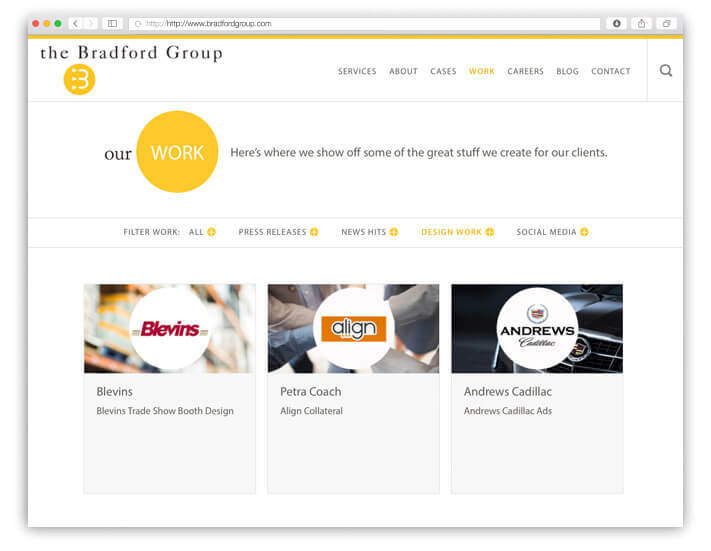 By creating a custom content management system (CMS), the Bradford Group is able to cross-link their case studies with their services, blog posts, and media. 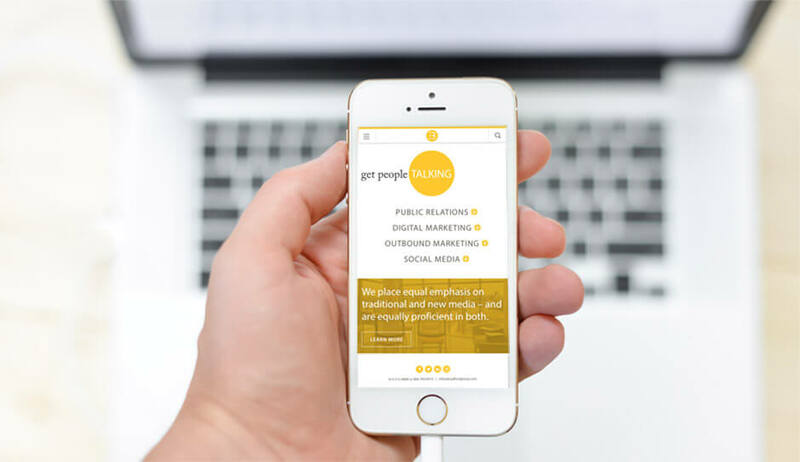 The site also includes a robust filtering system that allows visitors to navigate through their various press releases, news hits, and social media campaigns. 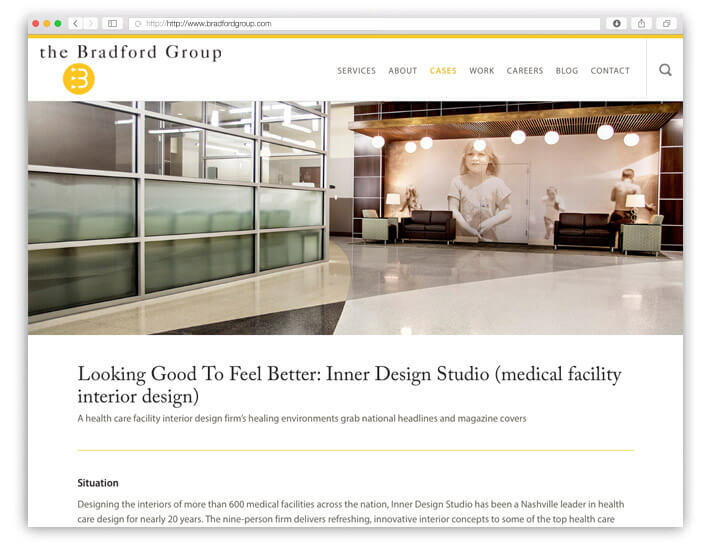 The Bradford Group website is consistently ranked on page one of Google for Nashville PR firms. We look forward to hearing about your project. Call or email us to get started today! Red Kap. Wear it Proud. 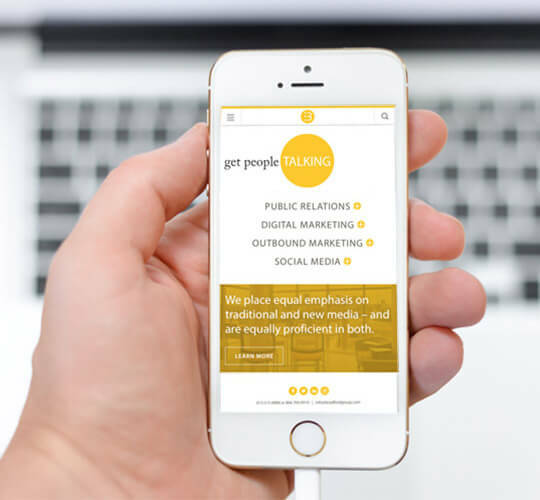 © 2019 pixelFLYTE: A Nashville Web Design Company. All Rights Reserved.